Are you one of the many Pagan parents raising kids in your spiritual tradition? Prayers are a way for us to give thanks to the gods of our pantheons, to thank the universe for getting us through another day, to count our blessings, and any other multitude of purposes. 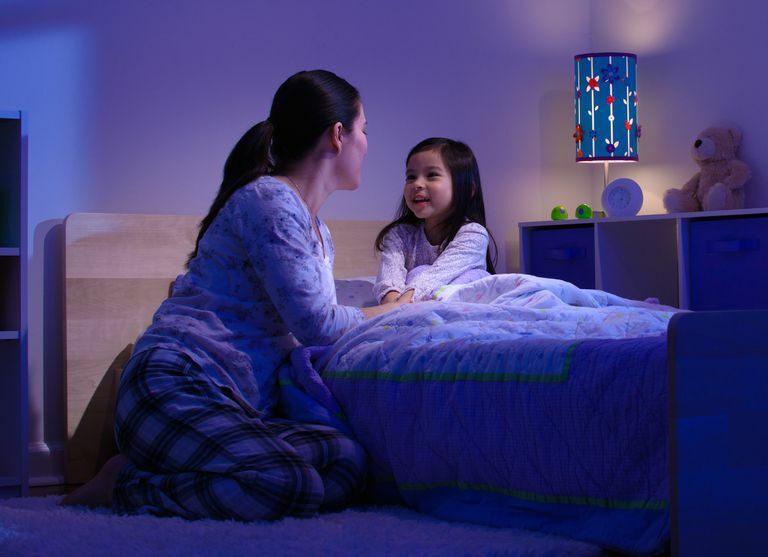 In many religions - not just Pagan faiths - parents encourage their children to say a prayer at bedtime. Prayer and ritual is a good way to wrap up a busy day, and for a kiddo who may be stressed out or anxious at bedtime, there's often a feeling of comfort and solace that comes along with a bedtime prayer. If you're looking for Pagan bedtime prayers for the children in your life, try one of these. Many Pagan families honor a goddess as part of their tradition. Whether yours is an all-encompassing archetype of the sacred feminine, or a specific goddess of a designated pantheon, your children can use these various simple goddess prayers at bedtime. Feel free to make adjustments or adaptations, depending on the needs and criteria of your traditions deities - and of your kids! Blessed be the mother goddess, by all her many names. While many Pagan families follow a tradition that is goddess-centric, still others focus on honoring the sacred masculine. If your belief system honors a god instead of (or in addition to) a goddess, try one of these three prayers honoring the god. Lord of night, welcome me as I sleep. Perhaps your family's beliefs and traditions are a bit more fun and casual, and less focused on deity. That's okay - they're still as legitimate as anyone else's! Try this simple (and slightly silly) prayer to say goodnight to the earth itself, or if you've got a little one with a creative and imaginative streak, try a fantasy-themed bedtime prayer. and wake with a smile upon my face. Author Dolores Stewart Riccio wrote this lovely prayer honoring Gaia, in her embodiment of the earth, and has generously allowed us to share it here.